All Reva homes currently listed for sale in Reva as of 04/25/2019 are shown below. You can change the search criteria at any time by pressing the 'Change Search' button below. If you have any questions or you would like more information about any Reva homes for sale or other Reva real estate, please contact us and one of our knowledgeable Reva REALTORS® would be pleased to assist you. "Big Price Reduction! Custom features abound in this home from the exquisite crown molding to the gourmet kitchen no detail has been overlooked. The open floor plan provides foyer entrance to a large living room, formal dining and an incredible kitchen and wonderful sun room/Breakfast area. Lit of detailed custom amenities available." "Start your own farm or ranch on this 21.5-acre property (which consists of two open lots). Enjoy the countryside and mountain views from the wrap-around porch. This home offers one level living (and is handicap accessible with ramp and 36~ doors the shower), laundry on the main level, 2x6 walls and 12~ walls in basement. Light fills the open floor plan with a huge country kitchen featuring a 12~ custom ceramic tile breakfast bar to gather around. Stainless steel appliances, along with two pantries gives plenty of kitchen storage (propane stove also has a griddle insert). New laminate flooring on the main floor and the upper two bedrooms (each bedroom as it~s own bath). Vinyl clad double hung windows. High efficiency HVAC is only 4 years old and roof was replaced 16 years ago, along with new well pump and filtration system. Above ground pool with new liner. Comcast is available at the road. Full unfinished basement with rough in and separate entrance. If you don~t need 21.5 acres, buyer could sell the one lot and use the money to customize current home/property. Listed just a smidgen above assessed value of both properties." "Gorgeous custom Cape in beautiful Novum ready early 2019. Open floor plan. Wood floors/ceramic tile/custom cabinets. Formal dining room. Master w/sitting rm. Big family room w/corner fireplace. Kitchen w/island/gas stove/Samsung appliances. Full basement w/bath rough-in. Deep 2 car garage w/work area. Unfin 2nd floor great/bed room. Quality everywhere you turn! Lovely pastoral & mountain views!" "MOVE IN READY! NO HOA! Welcome home to your 5 acre oasis! This well maintained 3 bedroom 2 bath split plan Rambler features a wide open floor plan throughout. NEW HVAC! Quaint foyer leads to living room and 2 bedrooms with a shared full bathroom. Separate dining room has great views of the front of the property. Spacious kitchen has seen recent appliances and features a massive island which is great for entertaining. Located directly off the kitchen, the colossal family room has lots of windows to let the light shine in! Fireplace has never even been used! Master suite is just 1 more highlight of this home. Bath features fresh modern flooring, french doors, with soaking tub and separate shower. The rocking chair ready covered front porch is a fantastic place to start your day with a warm cup of coffee and the back deck has mountain views that have to be seen! 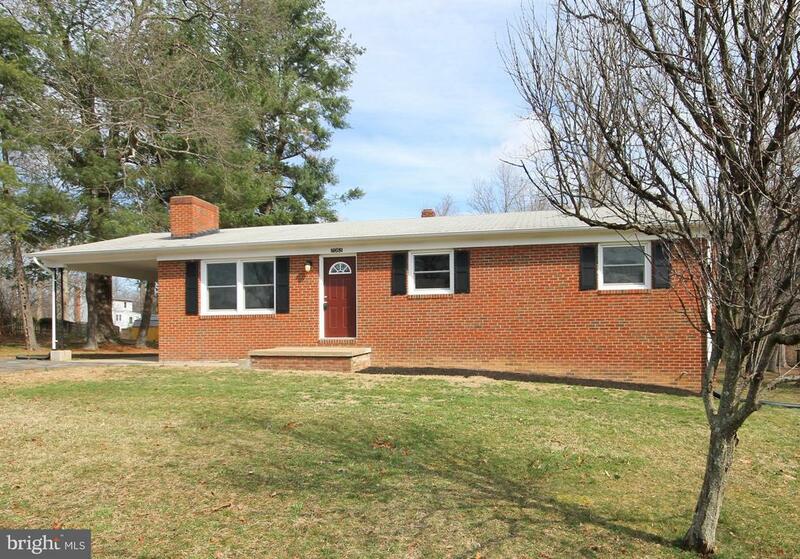 LOCATION IS KEY: Just a short drive to Culpeper, Madison, and 29." "Step inside to be wowed at this stunning and unique contemporary style two story home! From the high ceilings, wall of windows, loads of recessed lighting, gorgeous wood floors, beautiful kitchen, skylights, stone gas fireplace, huge deck off the great room...makes this the perfect place to relax or entertain. 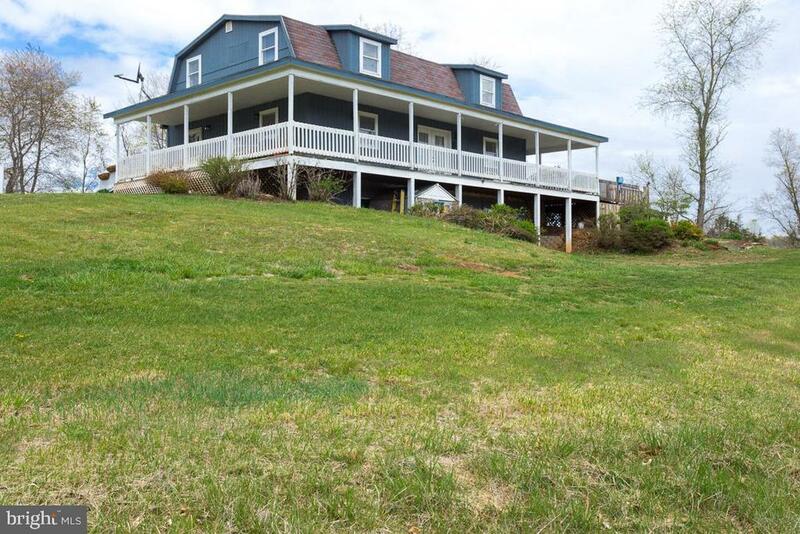 Tucked back on 2 acre and backs to woods for ultimate privacy. Call to see in person!" 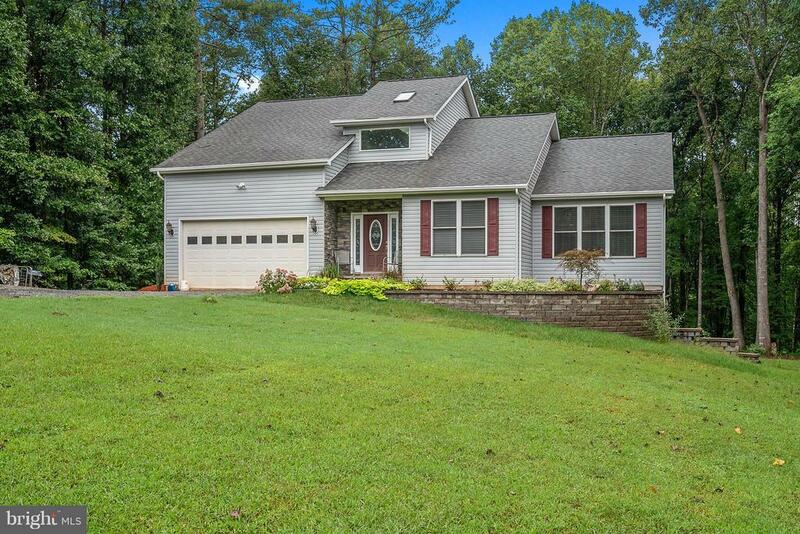 "Great rambler on a full finished basement in rural private setting. Large 2 tiered deck with fenced backyard for pets. Updated kitchen with wood floors through main living area. Sunlight in living room brightens the house. Large master bedroom with private bathroom and walk in closet. Full basement with family room and additional room that could be used as office, additional living space, etc. and large storage/utility room. 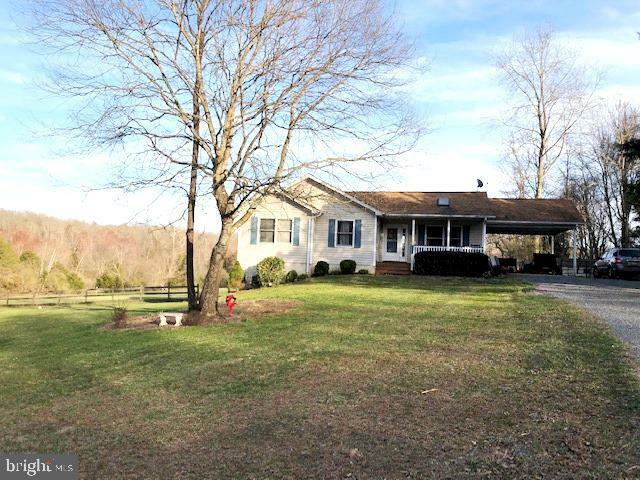 Beautiful 5 acres of open land surrounded by trees for privacy." "Beautiful brick home situated on an open, level 3+ acre lot offering 4 bedrooms, 3 full baths, & a detached 2-car garage. Main level features 2,600 finished square feet w/formal living & dining rooms, family room w/gas fireplace, & a large, relaxing sunroom. Lower level gives you an additional 2,100 square feet with a finished den/rec room & full bath, as well as plenty of room to expand!" 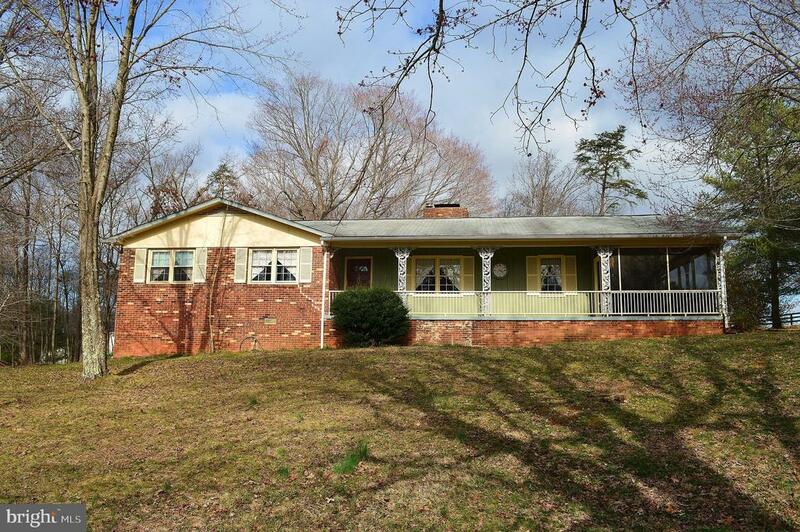 "Lovely One Level Home Nestled on Almost 3/4's of an Acre!! Renovated to Include: Stainless Steel Appliances, Carpet, Paint, Upgraded Lighting and Fixtures! New Vinyl Windows on Main Living Level. Home Offers: Large Eat in Kitchen with Door that Leads to the Carport, Family Room with Fireplace, Owners Retreat, Storage Shed. If you Finish the Lower Level You can Double square Footage!! 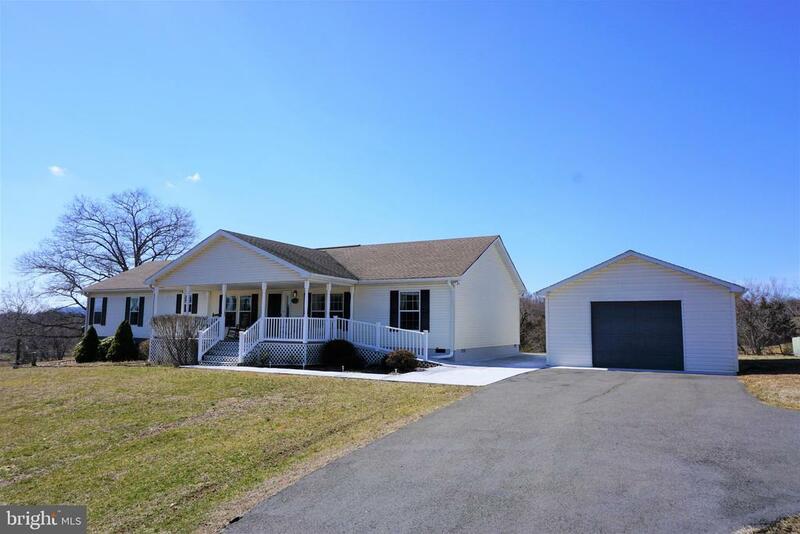 Easy Access to Route 29"
"Charming country living with convenience! 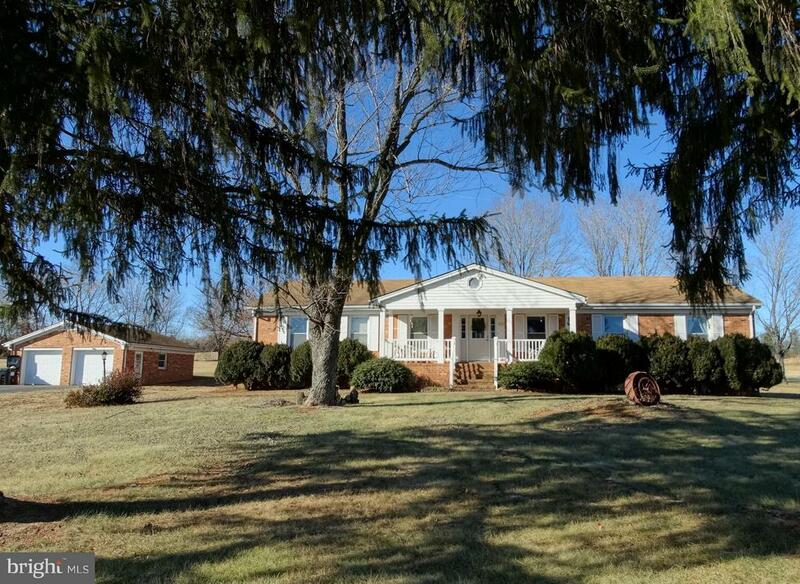 All brick rambler on 1.47 acres with covered porches and deck. 2 large storage shed/shops. Gorgeous yard with extensive landscaping and fruit trees. 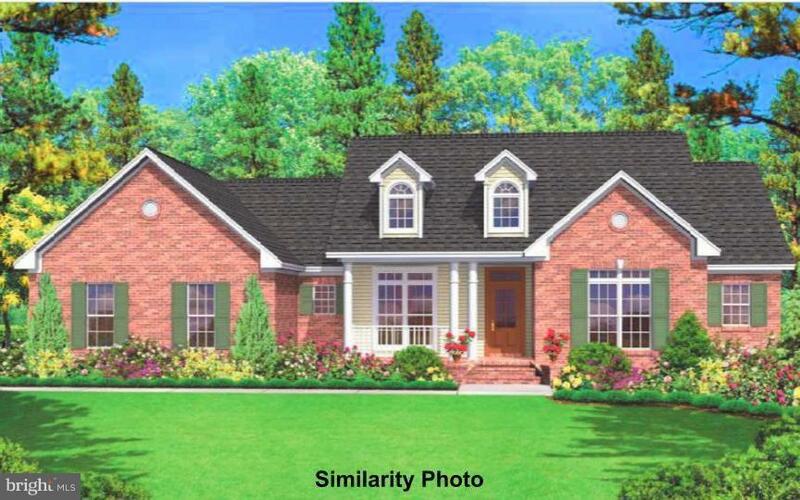 Home includes 3 spacious bedrooms 2 baths, cute country kitchen with separate dining room, large living room and family room with brick fireplace and much more!"